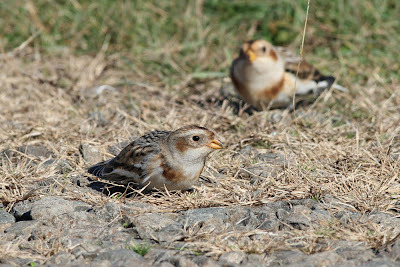 I spent a few midday hours at Hammonasset Beach State Park today in hopes of encountering some interesting passerines. Overall numbers were surprisingly low, but there were some nice birds to be had. 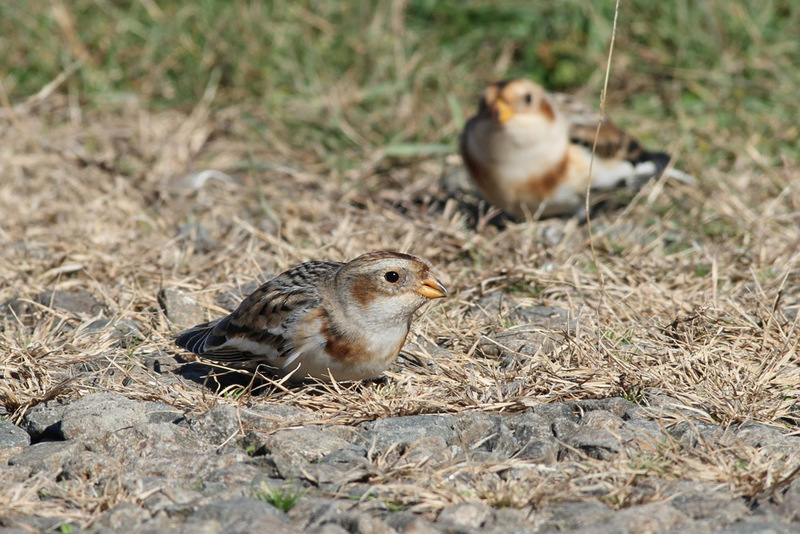 First, a mixed flock of 11 Snow Buntings and 14 Horned Larks were feeding on the lawn by the nature center. I really wanted to get to the west end to, at a bare minimum, check out the stand of pines for crossbills. But that end of the park was still closed, temporarily being used as a utility company equipment staging area. The entrance was guarded by police but I was able to sneak in through the dunes to access the pine stand. 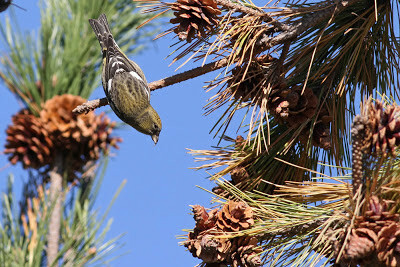 After some waiting a chattering flock of 12 WHITE-WINGED CROSSBILLS flew into the pines to feed. What happened next was rather lucky. 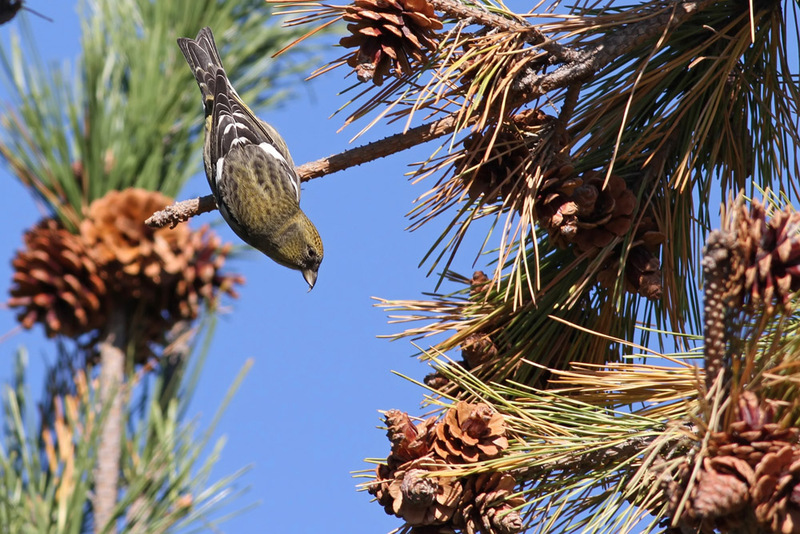 The flock of crossbills took flight and circled overhead. As I was watching them through binoculars, I caught a glimpse of three white specks far in the background. I let the crossbills go and focused on the distant white birds - three AMERICAN WHITE PELICANS drifting westward at a ridiculous height. 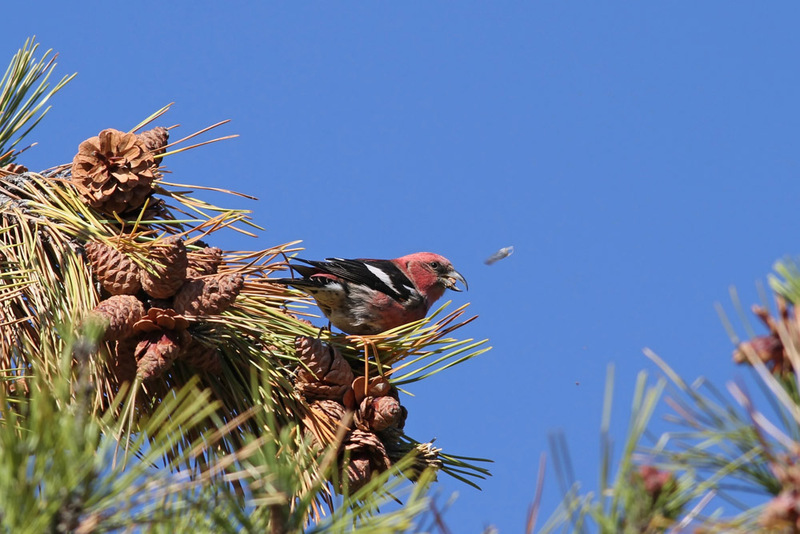 These birds were so high that they were invisible to the naked eye unless they banked just right, resulting in a brief flicker of white against the bright blue sky. It's amazing that I even saw them at all. 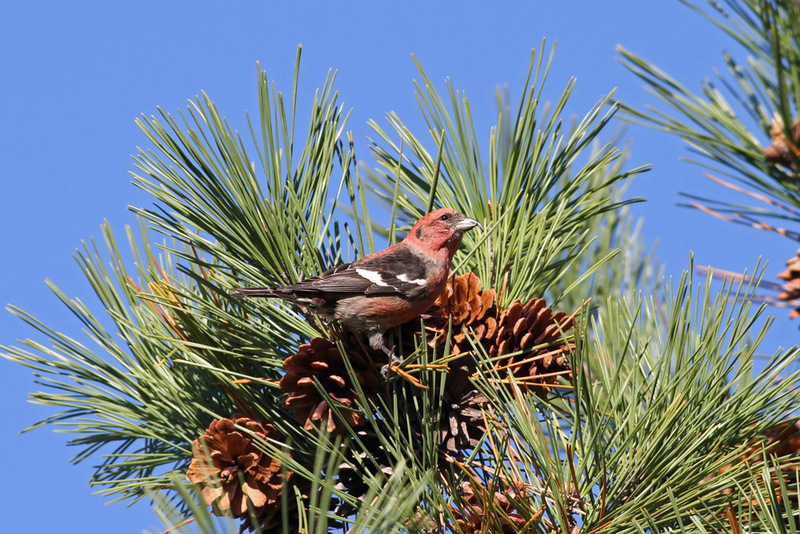 What are the odds of the crossbills leading my eyes to those mile high pelicans? I'd say if it's your eyes (and not the rest of ours) that the odds close considerably. 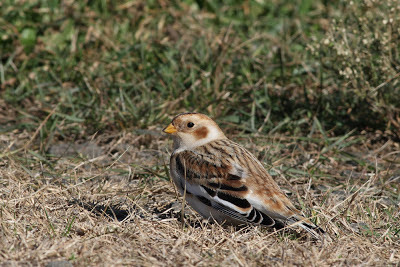 Great birds!